"It is more difficult to obtain a Costco membership than it is to get a NYC Municipal ID"
By Dan Clark on Wednesday, December 21st, 2016 at 12:00 a.m. It takes a membership card to shop at a Costco warehouse store. There are 87.3 million Costco cardholders around the world - some of whom shop at the company’s New York City locations. Municipal identification cards are also common in the wallets of New York City residents. 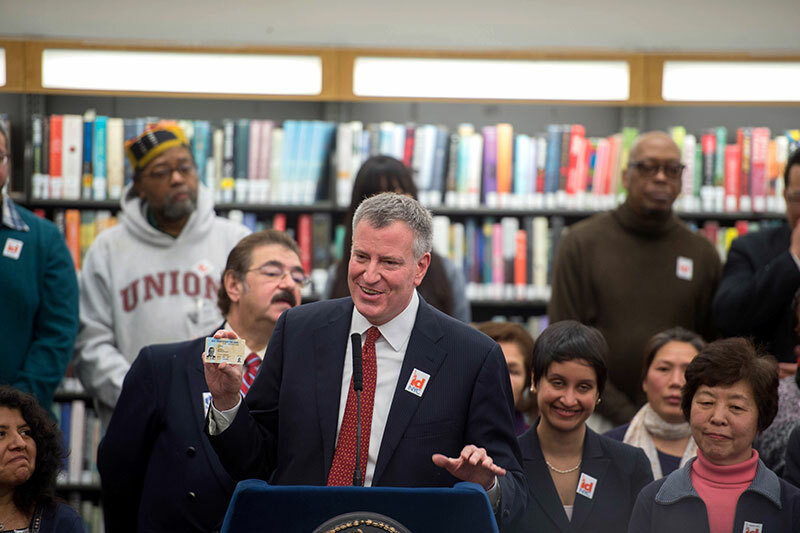 The New York City identification card gives them access to city programs and services and helps when it comes to renting an apartment, opening a bank account or complying with a police officer who asks for identification. So which card is harder to get? 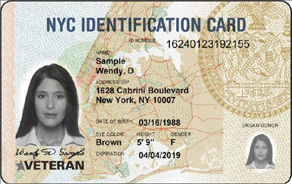 State Assemblyman Ron Castorina Jr., R-Staten Island, called the vetting process for a New York City ID card weak with "little to no integrity." "It is more difficult to obtain a Costco membership than it is to get a NYC Municipal ID," Castorina said in a press release. Castorina is one of two state lawmakers who filed a lawsuit to preserve supporting documents submitted to get New York City IDs. When New York City lawmakers created the municipal ID program last year, the statute allowed the city to destroy documents that could identify applicants. The aim was to protect undocumented immigrants from federal immigration authorities. Until now, the city has stored the information. But city officials say starting next year, ahead of the inauguration of President-elect Donald J. Trump, they will no longer hold on to documents submitted by applicants. Castorina and Assemblywoman Nicole Malliotakis, also a Republican from Staten Island, want the city to hold onto the documents because they may help law enforcement agencies in any investigations. So is Castorina right? Is it easier to get a Costco membership? To find out, we went through the application process. You can apply for membership online or in any of the company’s 723 warehouse stores around the world. We chose to apply online. The application requires your name, address, date of birth, email address and phone number. Members can share their membership with others in their households, but have to provide their name, dates of birth, and contact information as well. The online form takes less than five minutes to complete. After completing the form, applicants enter their credit card information to purchase the membership online. Membership options range from $55 to $110. Members pay to renew the membership each year. Once the payment is accepted, Costco sends an email with a membership number. This can take from 10 minutes to 24 hours, a company customer service representative said. After receiving the email, the customer copies the membership number down and brings it along on the first visit to the Costco store. Customers must bring a photo ID on their initial visit. Otherwise, the store will not hand over the membership card. Customers who opt for the business membership also have to bring either a business license or three pieces of business ID, which can include anything from a business card to an electric bill. Customers do not have to provide a proof of residency. The store’s customer service line says customers can complete the entire process in less than one day. For a New York City ID, residents can either print out an application or fill one out at an enrollment center. Every borough has at least one center, and some have more. The one-page application asks for the resident’s name, address, date of birth, gender, eye color, height, and contact information. There’s also an option to register as an organ donor, select a preferred language, and designate an emergency contact. The form takes less than 10 minutes to complete. Applicants then must schedule an appointment at one of the enrollment centers. Most centers are not open every day, and at least one has appointments booked through the end of January according to the scheduling website. Residents can also call the city’s government 311 helpline to schedule an appointment. Residents have to submit up to four identifying documents with their application. One of the documents has to have a photo, one has to show the applicant’s date of birth, and one has to show the applicant lives in New York City. A representative from the city’s 311 helpline said a few forms of ID, like one from the New York State Department of Motor Vehicles, are enough to prove residency and identity. Homeless people or survivors of domestic violence who do not have a permanent address have to bring a letter from either the shelter where they are staying or from a city agency, nonprofit organization, religious institution, hospital, or health clinic. If the application is approved at the center, the staff will take the resident’s photo for the ID. If they have an address, they will get it in the mail less than two weeks later. If they don’t have an address, the ID will be sent to the enrollment center where they applied. Castorina, the assemblyman from Staten Island, claimed in a press release that "it is more difficult to obtain a Costco membership than it is to get a NYC Municipal ID." Getting a membership at Costco requires an application and a photo ID on your first visit to the store. A municipal ID in New York City requires more documentation and takes longer to process. The only obstacle to getting a Costco membership that might make it more difficult for some people is the cost. The New York City ID card is free. A Costco membership starts at $55 annually. We rate his claim as Pants on Fire. Published: Wednesday, December 21st, 2016 at 12:00 a.m.